A displaced artist falls in with a group of social outcasts who actually rule the world. Dir: Tom Schiller Cast: Zach Galligan , Apollonia van Ravenstein , Lauren Tom . I caught the second half of Nothing Lasts Forever. It was good to see Imogene Coco and Sam Jaffe; I was sorry to miss Mort Sahl. I hope TCM shows it again. 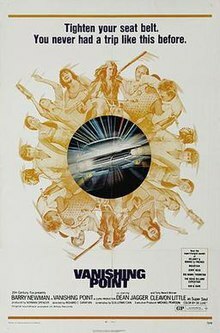 It's strange that it was never released theatrically, as it's certainly a movie that seems worthy of a cult following. I wondered why I'd never heard of it. Straight to video? Or not even that? my recording got messed up by the weather, but I liked what I saw. Bummer. After waiting all these years, I'm very thankful to TCM for giving me the opportunity to get that one recorded. A martial arts rock band tries to take down the motorcycle ninjas running Florida's drug trade. Dir: Richard Park Cast: Y K Kim , Vincent Hirsch , Joseph Diamond . I was reading the comments for 'Miami Connection' over at IMDb last week and was surprised at how much love there was for this admittedly 'so bad it's good' movie. Not sure who it is that's searching out movies for Underground now, but I think they're doing a pretty good job lately. Not that the movies are good, mind you - that they've been rarely seen is why I think they're doing a good job. This is truly an Underground movie, since apparently it was never widely released in the US after a "disappointing" preview in Seattle. It was released in Europe with some editing errors (including a duplicate scene!) unfixed. The movie has played in some film festivals in recent years, but the TCM airing is the widest exposure this movie has seen. It stars Zach Galligan of GREMLINS fame. ET and GREMILNS are two of the first movies I remember seeing. Thanks, TCM, for airing NOTHING LASTS FOREVER! When street thugs kill his son, a factory worker takes the law into his own hands. Dir: William B Lustig Cast: Robert Forster , Fred Williamson , Richard Bright . kinda liked "Vigilante", though not sure why. I did get a chuckle out of Forster's last 'encounter' with the crooked lawyer. I see 'Twice Upon a Time' (1983) is scheduled this week. Very interesting history to that one - apparently an alternate version was produced without the consent of the original producer and HBO showed this "illegitimate" version a couple of times and got sued to cease and desist. There have been several versions run in different venues - but I believe that what TCM will be running will be the official (also known as the "clean") version (much to the displeasure of some viewers who are dying to see the "unclean" one). Whichever, congratulations to TCM's Underground programmers for giving us yet another opportunity to see a rare piece. Doing a bang-up job these days! late Sat., 1-31-15 FINALLY, animation on Underground !! A despot tries to turn the world into a non-stop nightmare. Dir: John Korty Cast: Lorenzo Music , Judith Kaham Kampmann , Marshall Efron . According to the "full" programming schedule for Turner Classic Movies on this site, "Nothing Lasts Forever" was set to be broadcast again as part of their programming plan for the Sunday of May 31st between the Central times of 1:00 a.m. and 2:30 a.m.
late Sat., 5-9 Finally a Premiere! A couple's use of an experimental fertility drug produces a monstrous infant. Dir: Larry Cohen Cast: Guy Stockwell , Sharon Farrell , Andrew Duggan . I had recorded William Castle's IT'S A SMALL WORLD last week and saw the new Underground opening. Thank goodness it's been changed-I was really bored with the last one of the dreadlock headed guy putting up posters. The new opening isn't very good either, but at least it's NEW. The new opening lists what categories "underground" films fall within; cult, monsters, horror, etc. Is anyone else getting a little tired with all these categories & sub categories? Movies, music, clothing...everything fits under some tile. Recorded and waiting to watch great double feature IT'S ALIVE & THE BABY. Thank you TCM Underground for providing fun movie options. Maybe not classic films in the traditional sense....but movies I certainly enjoy. Dir: Jack Starrett Cast: Tamara Dobson , Shelley Winters , Bernie Casey . A drug agent hunts down two colleagues taken hostage by a ruthless casino owner. Dir: Chuck Bail Cast: Tamara Dobson , Stella Stevens , Norman Fell . 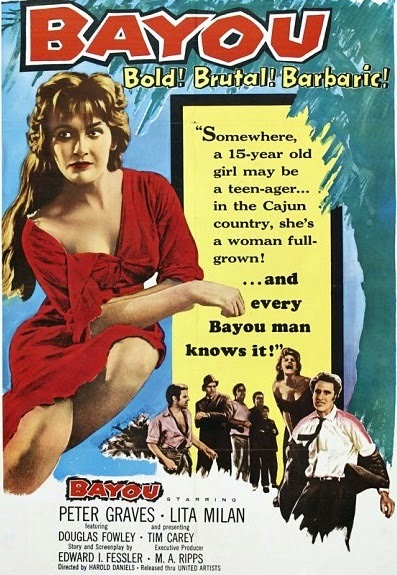 A Cajun beauty faces resistance from friends and family when she falls for a visiting architect. Dir: Harold Daniels Cast: Peter Graves , Lita Milan , Douglas Fowley , Tim Carey! A car delivery driver leads the police on a merry chase to win a bet. Dir: Richard C. Sarafian Cast: Barry Newman , Cleavon Little , Dean Jagger . A powerful pimp takes on two corrupt cops out to take him down. Dir: Michael Campus Cast: Max Julien , Don Gordon , Richard Pryor . Geez, there are ALOT of new films being shown this Oct. and their 'Underground' site hasn't been updated since MAY 2013!! A master of martial arts offers protection to the daughter of a business magnate when she is pursued by the Yakuza. Dir: Shigehiro Ozawa Cast: Sonny Chiba , Goichi Yamada , Teijo Shikeharo . The L.A. punk scene is taken over by glam metal.